5 min read . Updated: 04 Jul 2018, 12:33 PM IST Nidheesh M.K. What do you make of Nissan coming to Kerala? Nissan’s coming here is a big boost for us. After Nissan, a few other top-level IT companies such as Tech Mahindra and Microsoft have also hinted their interest to come to Kerala. This is going to change the face of Kerala’s IT sector. It’s going to change Kerala’s image entirely. How did you convince Nissan? It is the result of about six months long painstaking negotiations with a lot of people. We came to know that they are looking for a place, so we contacted and told them about our strengths. We told them that this is a very calm and peaceful state, unlike some other parts of the country. You see the violence happening in northern states these days... This goes to say not only about the geography but about the people too. Most of the people here are young, talented and progressive. Here, women are safe. If they are coming for business, the file movements will be faster, and, best of all, I have made sure nobody will ask them for kickbacks. What you think ails Kerala when it comes to attracting businesses? See, most of them (big investors) do not have a lot of concerns about Kerala, but there are a few concerns. Basically there is a buzz that Kerala is not favourable for investments and successive governments were not friendly to do business. We are trying to change that image. We are focussing on building social and physical infrastructure that will make attract investments while also solving legacy issues that scared businessmen over the past. 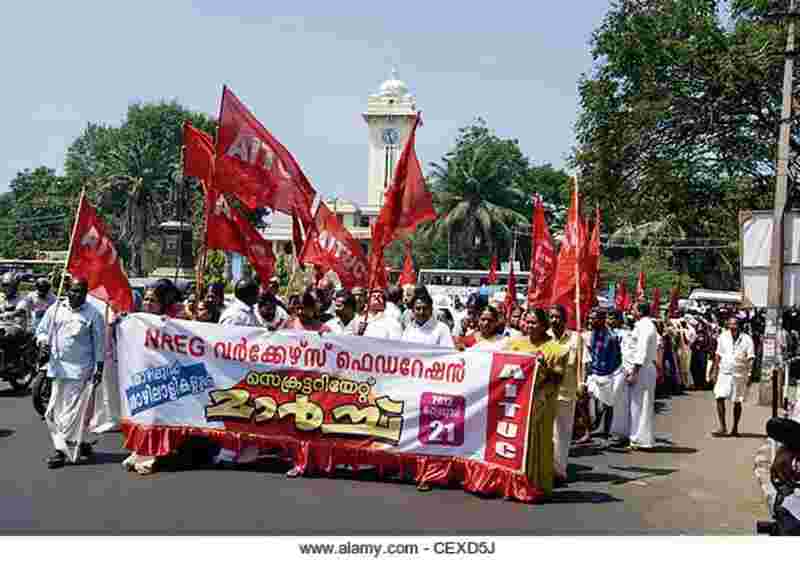 The biggest worries for investors coming to Kerala are perhaps a sort of working class suspicion against big investments, unnecessary involvement of labour unions and slow movement of files. How are you working around these issues? We have almost eliminated labour union issues, currently, there are no union-related tussles to run business in the state. There were two major unhealthy practises. One was Nokku Kooli (roughly translates to “wages for watching", it alludes to the practise of paying the local workers’ union a predetermined fee to perform a labour-intensive task like unloading something from a truck in an area, even if you do not want to engage the union workers for the task). We banned it since 1 May and it has completely stopped. Second was when the unions guys would ask a company to hire some people among them in order to do business in their area. We have stopped this practice. All of these are results of long discussions with labour unions of all parties, and they have been highly cooperative to us. File movements have become faster. I personally monitor the progress of big projects on a weekly basis and intervene if the officers are defaulting. The people are no longer averse to big projects. You can see that all big projects which involves land acquisition in Kerala today are processed very quickly. That’s because of people’s cooperation. The people need jobs, they understand. Tell us something about your working style. It is mostly teamwork. One thing probably is that… traditionally there has been some fear (among politicians) in Kerala to take decisions on big projects, thinking whether it will end up as scam, thinking what the media will say, what the environmentalists will say and so on. I don’t have such fears. I don’t get caught up in criticisms. I ignore those who try to block people’s welfare based on meaningless environmental concerns or anything else. I am not worried of whether it will have a (negative) political impact, because I am sure the voters will see through it. You are known to work with targets. What are your own targets for this year? The main idea is what we offered in the of LDF (Left Democratic Front) manifesto, 2.5 million jobs within five years and building crucial infrastructure. This year will see Kannur airport taking off with international flights. We will also finish two big road projects, the Gail pipeline project (an ambitious 437-km gas pipeline project from Kochi to Mangalore) and a major power project. We are trying to finish Parvathi Puthanar project too this year (the building a 74km waterway between two tourism hotspots, Kovalam and Aakkulam, first of the many multi-crore projects to make Kerala’s 1,680km stretch inland waterways fit for navigation). The work is going apace on all these projects, although silently. Apart from these, we are building two more additional lines around the entire railway line of Kerala. We are doubling the width of most national highways. We are building a express highway (an elevated highway project supposed to build the state from its north to its south), and a coastal highway and a hill highway (two highway projects connecting the coastal areas and the hills). In your latest Delhi visit only some days ago, you joined hands with Arvind Kejriwal’s protest against the centre, took on railway minister Piyush Goyal for not establishing a long-pending coach factory in Kerala and slammed the prime minister for not meeting all party delegations from states. Are you making your presence felt in national politics? I’m taking Kerala’s development seriously, that’s all. Usually there’s a common thread of understanding and cooperation with the centre but sometimes they are playing politics. For instance, on the coach factory project, we have completed most of the land acquisition from our side, but still the minister blamed us for the delay in front of the media. And he used certain words that I didn’t like so I also retaliated the same way. Now I’ve written a letter detailing how far the land acquisitions have been completed and invited him for a joint review here. Separately, if you look at it, the centre is going to give medical colleges to states where they are in power like Uttar Pradesh. So I’ve also asked them we also need medical colleges. Kerala is already getting axed because of many parameters the centre has brought up for funding development, over the top of it I cannot allow more penalisation by political biases.